The Trump administration released their annual report to Congress on White House Office Personnel. It includes the name, status, salary and position title of all 377 White House employees. The report also said that Trump decided not to take a dime of his salary, instead he donated it to an amazing cause. The report also showed that President Trump is far better at saving money than Obama was. The total annual White House salaries under trump are $35.8 million vs. $40.9 under Obama, a savings of $5.1 million. There are 110 fewer employees on White House staff under Trump than under Obama at this point in their respective presidencies. Nineteen fewer staffers are dedicated to The First Lady of the United States (FLOTUS). Currently, there are five staffers dedicated to Melania Trump vs. 24 staffers who served Michelle Obama (FY2009). 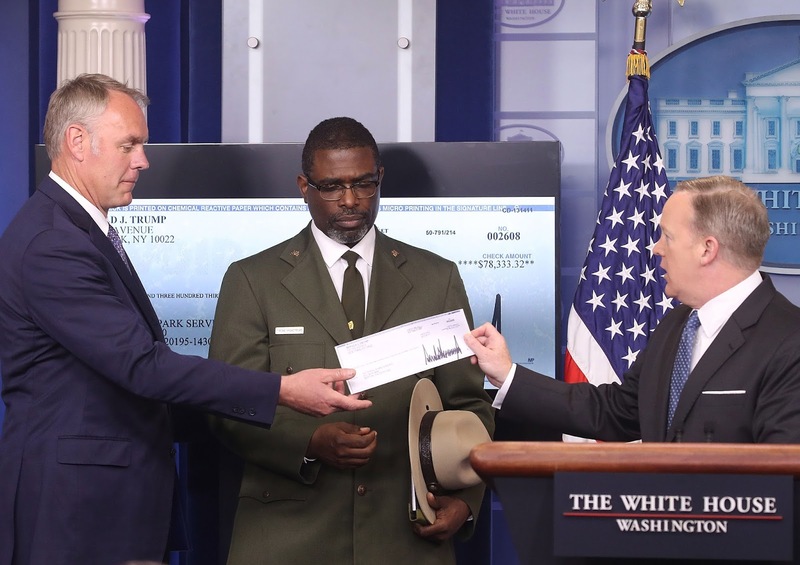 However, it’s what the report said Trump did with this salary that has everyone talking! 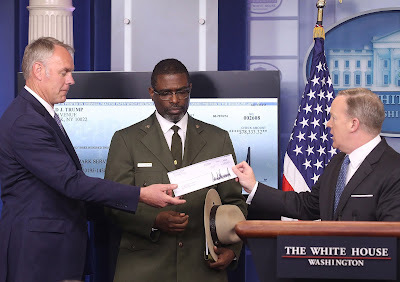 Instead of taking his salary, Trump donated all $400,000 to the Department of the Interior where it will be used for construction and repair needs at military cemeteries! AMAZING! It’s so great to have a President who loves our brave military men and women so much! Oh, and where’s the media coverage of this? Oh that’s right, they don’t cover anything good that the President does. This post is now a year old, and mine is the first comment? To be fair, I found this with the help of Duck Duck Go, using the search term, "trump donates $400k to military cemeteries", and there is a Gateway Pundit article about it, dated yesterday, July 31, 2018. Otherwise, the media is mostly ignoring this story. And yes, I know MSM doesn't report anything good that President Trump does. He rightly calls them "Fake News". Best President in my lifetime, and that's a LONG time!